Throughout our entire lives we make mistakes. No person is void of making mistakes and in most scenarios it can be said that mistakes are great learning tools, assuming the person making the mistake uses the experience to grow as a person. In sports we have seen numerous second chances, particularly in the NFL. You don’t have to look far to see one that has taken shape in Philadelphia with quarterback Michael Vick. Vick is a prime example of someone learning from a mistake and using the experience to better themselves as a person. Vick was indicted in 2007 for operating a dog-fighting ring and breeding pitbulls solely for dog fighting. Vick received punishment, did his time and made his way back to the NFL. He currently actively works with charitable organizations that protect animals from abuse. Vick’s journey is proof positive that we are allotted second chances in life and sometimes in our profession. But more often than not it’s those who truly learn from those mistakes that find lasting success. Back in January 2010 reports surfaced involving Florida Gators’ cornerback Wondy Pierre-Louis who was accused of domestic abuse. Pierre-Louis was originally charged with domestic battery and was eventually arrested and held on five felony counts related to domestic abuse. He later was charged with two misdemeanor counts of criminal mischief. As the processed developed, the supposed victim Starlett Lazenberry would tell the courts; “I do not fear for my life or anything like that. He’s not a danger to anyone. He couldn’t hurt a frog.” She would add that she had attempted to contact the Gainesville Police Department concerning what she said are “inaccuracies” in their police report but said “I’m still waiting on a (return) phone call.” Lazenberry later asked that the charges against Pierre-Louis be dropped. Pierre-Louis’ charges were reduced to damaging a door and cell phone in his then-girlfriend’s (the accuser) apartment. Pierre-Louis pled guilty to both charges and received a sentence of one year of probation from the judge. Be that as it may, that wasn’t the only hiccup Pierre-Louis had to endure that year. 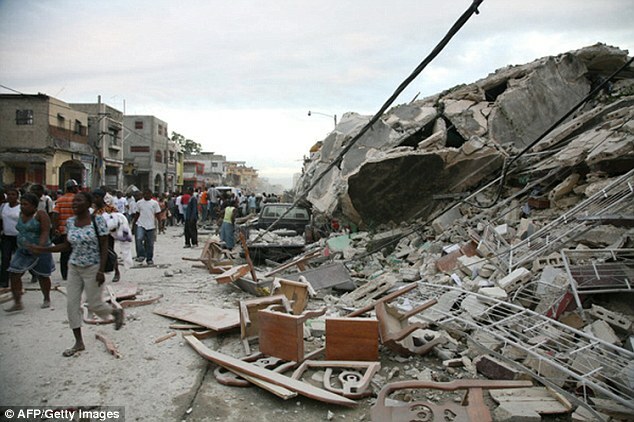 A few months prior to his legal issues Pierre-Louis , who is a native of Haiti, was directly effected by the earthquake that ravaged Haiti. Easily the roughest year of his life, Pierre-Louis had persevered and is now trying to find a path to the NFL field. Despite being a solid corner for the Florida Gators and putting on an impressive performance in the 2007 BCS Title Game Pierre-Louis, who was projected to be a 5th round selection in the NFL Draft, went undrafted. Many would speculate that the legal matter involving Pierre-Louis may have hindered him from getting a spot in the NFL. But while some may find that to be unfortunate and unfair, Pierre-Louis again demonstrates the maturity and peace that a man of strength possesses. I believe that’s fair, because when something happens to somebody that’s being evaluated, You obviously cant just overlook the situation. But I keep my head up and have a positive mind and take everything as it come day by day. It was a situation that was blown out of proportion. All the charges was dropped. I put that behind me and I’m ready to move forward with my football Career. And Pierre-Louis certainly has been working at doing so. He has been training almost every single day and even tried out for the Baltimore Ravens and the New York Giants with hopes of landing a roster spot. I have been approached by a couple UFL, CFL and AFL team during this process. And I’m very open minded when it come to football because of my passion for the game. At the end of the day I will go with the best opportunity that’s being presented. I been back home in Naples training at Velocity Sport with Derek Touchette. The same trainer that trained guys like Hakeem Nicks with the Giants, Phil Taylor with the Cleveland Browns and Braylon Edwards with the San Francisco 49ers. I have been training hard. I feel like I’m in my the best shape I’ve ever been in. Sometimes it’s easy for us to see a news headline and immediately pass judgement, we are almost bred to be reactionary at an immediate-pace. But in some cases, this one in particular, it’s important to see the whole story. Pierre-Louis deserves a second chance and a clean slate as he works towards a career in the NFL. It is clear the man is not void of the talent necessary of being productive at the NFL level (Check his scouting report here). I also believe that Pierre-Louis, despite the opinions of his legal matter, has shown the resiliency and character that demonstrates strong will. The type of will that should help shine some sunlight through any dark cloud that some teams may see as hanging over the former Florida Gator. The same will that locker room leaders have coursing through their veins. The type of resolve and maturity that should be taken into account during any evaluation process. Regardless of how anyone views his past, I for one would be proud to have a player with that makeup donning my team’s jersey. As I stated, we all make mistakes. But it’s those who learn from and grow from those mistakes that should be clearly separated from those who do not. I like to let all the teams know, I played at a big time program in a big time conference. I’m a tall athletic corner. I’m hungry. I’m ready to show everyone in the NFL what I’m capable of. A competitive fire that still burns deep despite his trials and tribulations. I would also venture to say Pierre-Louis is an example of a man who has overcome, conquered and bettered himself both on and off the field. With this being NFL Draft season all of us watching the process will discuss 40 times, vertical jumps and bench presses. But sometimes it’s the intangibles and the things that cannot be measured by a stop watch or weight bench that prove to be more valuable than the things that are. We are a society that embraces a good story, a underdog and a happy ending. Wondy Pierre-Louis may very well give us our next great sports story. Special Thanks to Melanie Madden and J.R Rickert of JR Enterprises. Peyton Manning Should End Up In….